Key Verse: Verse 9 - "And he said unto me, My grace is sufficient for thee: for my strength is made perfect in weakness. Most gladly therefore will I rather glory in my infirmities, that the power of Christ may rest upon me." Grace is defined as God’s unmerited favor. My definition of grace is God giving us what we do not deserve; but as you can see from our Bible reading, grace is not giving us what we want but rather, God is giving us what we need. That should be sufficient enough. Respirators are machines that do the breathing for you. 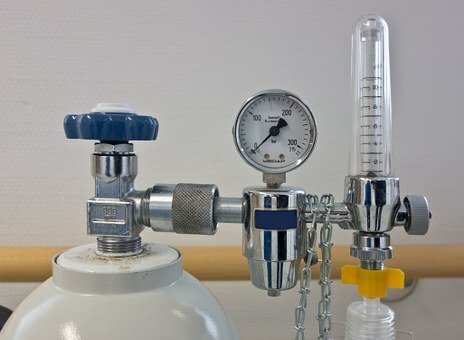 If you are laid down on the hospital bed and there is a problem with your breathing, they put you on a respirator. If you insist on breathing on your own, the respirator does you no good. There’s only one thing you can do with the respirator – cooperate. Now, you are involved because it’s your lungs going up and down. It’s your mouth and nose that are taking in and expelling the oxygen. The two of you are working together but the respirator is doing the work; you are just cooperating with it rather than resisting it. Christ wants to express His life through you and be your respirator. He does not want you being your own respirator because then you don’t need Him. He doesn’t want to do it apart from you, so you must cooperate. You must yield yourself to the person of Christ. We have too many Christians today hyperventilating the spiritual life. ✞Live by God’s grace for that really is sufficient enough.